It's a cute, sweet read. The town viejitos with their online chisme are adorbs. 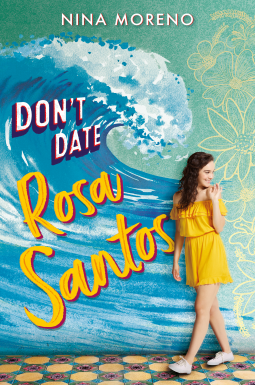 As is often the case with teen romances, the love interest is a little too perfect: at 19, Alex is a sailor and an expert baker, sensitive, and patient. He's a college dropout, sure, but emotionally, he's all there. There's also the love of the absent homeland: Cuba, which Rosa wants to see. Mimi is done with the place, and Mom (I forget her name) was conceived there, but doesn't talk about it. All three Santos women are likable, relatable characters.